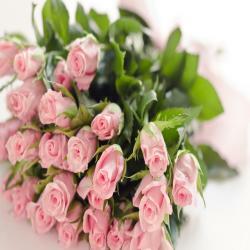 Bouquet of 17 Pink Roses with Green fillers. 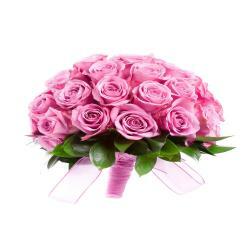 Perfect soft Pink roses make a beautiful gift for the lovely lady in your life. Wife, mother, daughter or sweetheart, she's sure to cherish this bouquet of pastel pink roses accented with seeded eucalyptus and arranged in simple bunch. From all color roses pink are most favorite roses among the ladies. 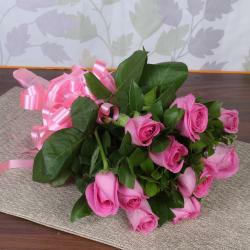 Bouquet of Seventeen pink roses is the best gift for Special occasion like baby showers, mothers day, womens day, birthday, anniversary, wedding, friendship day, Diwali, Holi, Christmas and many more. Place your order now at giftacrossindia.com and get same day delivery without any extra delivery charges. 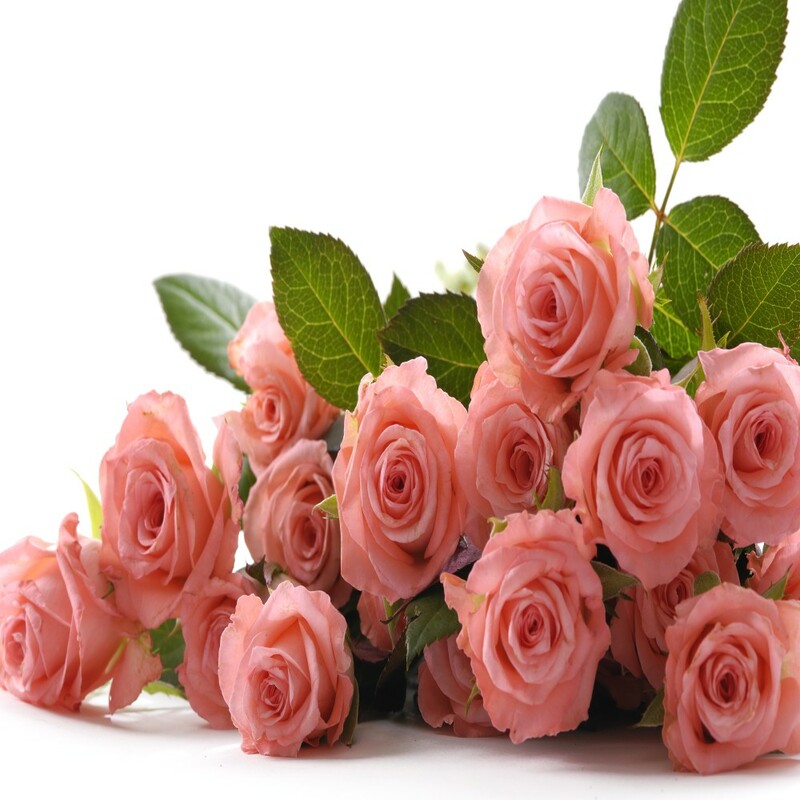 Send hearty wishes to your loved ones with these beautiful Roses. 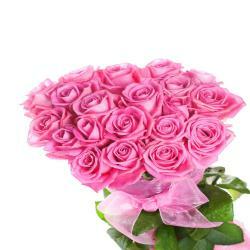 Product Details : Bouquet of 17 Pink Roses with Green fillers.